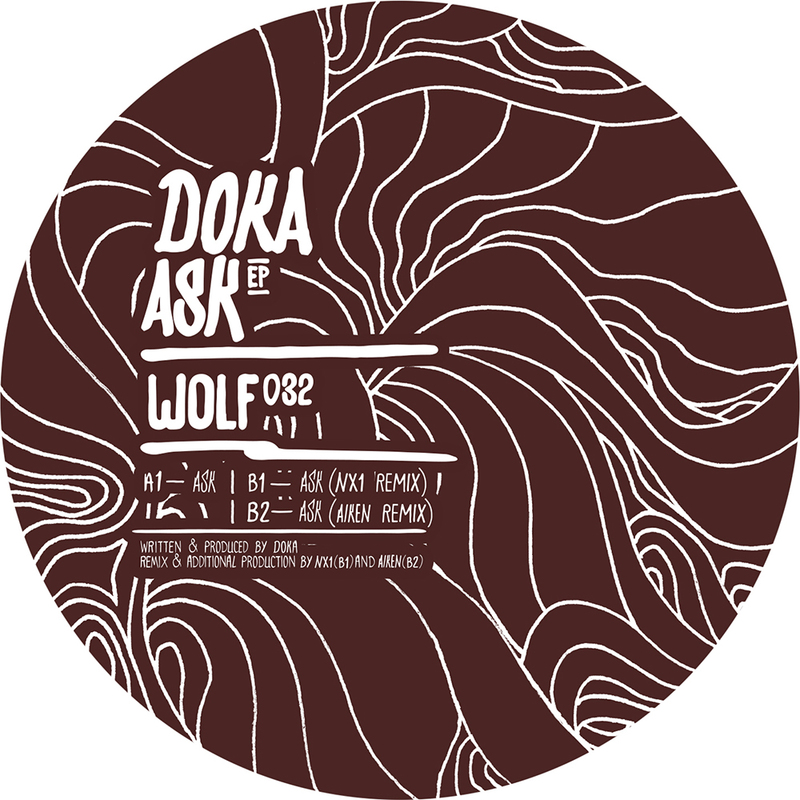 The Amsterdam based producer named Doka just released his most recent work “Ask” on Wolfskuil Records and it’s pretty cool stuff. One of the features in Doka’s productions is the creativeness and this release is no exception. A title track and two remixes from Spanish artists NX1 and Aiken make this release three high quality options. The original mix has a thick and throbbing kick which makes you feel its power instantly, repetitive driving notes from filtered synths deliver the melody, which expand with stereo trails. Holding a rotating and very strident hat, claps appear in tandem to introduce the breakdown which is the wider part of the melody. The kick drops shortly after that, filtering down the synths and bringing back the euphoric rhythm. There is a depth of textures in the track, with bleeps programming my brain as binary code, which persist until the end. NX1 has a more accelerated approach, with bouncing drums revealed by the kick and accenting sub sweeps create a great vibe. Metallic, windswept atmospherics appear and gradual, fading reverberated claps join in for a temporary breather in the beat before going full throttle again. The delightful skirl which remains in my head resembles a cricket of the night, that carries the ride forward as the sounds continue to morph with a strong old school tribal feel. Going for a more energetic style here, Aiken adds a stripped back feel at the same time, with metallic sounds and huge swelling bass under the compact kick and quirky glassy rolls show a cool character. Phased organ notes shoot through the mix towards the half way point in the track, which are totally unexpected, but work really well as sounds slowly fall away and it becomes the dominant solo feature. As it soothes and captivates, a sudden switch back to the original arrangement drops and contrasts, but with added claps this time. Each track very much of their own accord and special tools as and when you require them in a set. This entry was posted on June 18, 2015 by Death Techno. It was filed under DT:Reviews and was tagged with Aiken, Doka, DTR, NX1, Wolfskuil.